Marshall Fredericks received the President's Cabinet Medallion from the University of Detroit in 1973. “Fr. Malcolm Carron, S.J. 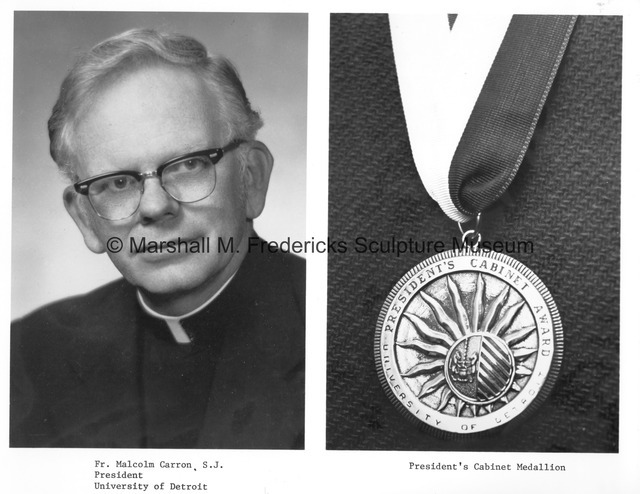 and the President's Cabinet Medallion,” Marshall M. Fredericks Sculpture Museum, accessed April 22, 2019, http://omeka.svsu.edu/items/show/4984.